Fancy Takeout from Myers and Chang is a great break treat when you've been working really hard and don't have time to cook or get a baby sitter. 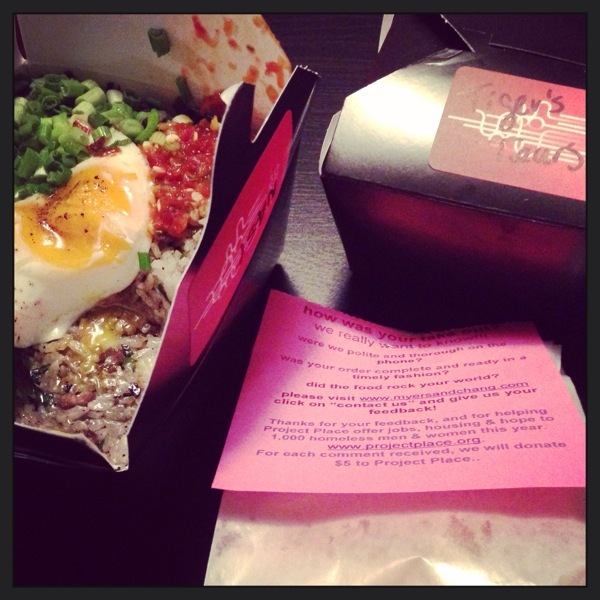 Nasi Goreng and Tiger's Tears both perfectly prepared and packed for takeout and eaten in our living room. Our perfect meal and a great way to treat ourselves.